New York, NY – April 4, 2019 – X-Rite Incorporated, the world leader in color management and measurement technologies (http://xritephoto.com/) announces ColorChecker Passport Photo 2, an improved solution that helps professional and enthusiast photographers alike to reduce image processing time and maintain color control and consistency from capture to edit. Quickly and easily set white balance and exposure, create custom DNG or ICC camera profiles, and instantly enhance portraits and landscapes. “Since colors fade with age and light exposure, replacing a target that is several years old ensures complete color accuracy when building camera profiles,” adds Liz Quinlisk. ColorChecker Passport Photo 2 is currently available through X-Rite global authorized resellers. ColorChecker Camera Calibration software is available as a free download at xrite.com/getCOLORCHECKER. 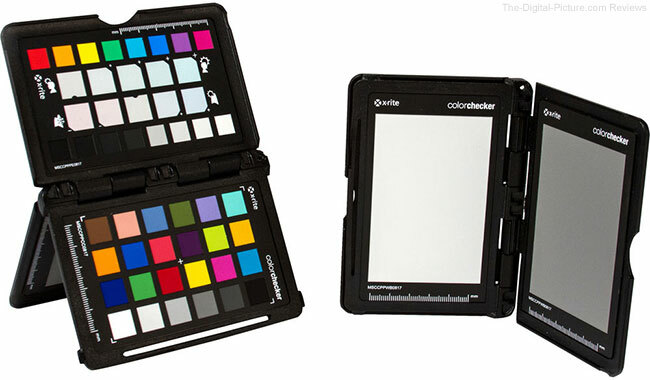 The X-Rite ColorChecker Passport Photo 2 is in stock at B&H and Adorama.